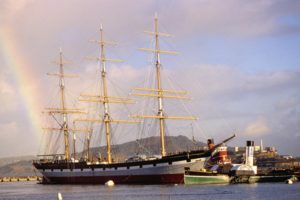 A public sing-along of sea chanteys and sailor songs aboard a historic ship at San Francisco Maritime National Historical Park. 8pm to Midnight on the first Saturday of every month. Wear warm clothing and bring a mug for hot cider. Free Admission. Reservations required, call 415-561-7171, or email (please include your name in the body of the message to hold the reservation).